We had a birthday party for my 15 year old son today. He was giddy about having 2 friends coming over. This is the first of his parties where he has truly been engaged in terms of who was going to attend and what we were going to do. And both of the other moms said this is the first party their boys have ever been invited to that didn’t involve a family member. This is kinda how it goes when you have a child with special needs. Over the years, parties for my son have been more of an exercise. When he was really young, before being diagnosed, I was like many typical young moms. His birthday was an excuse to get friends and family together to celebrate and reconnect. As he got older, after he was diagnosed, things became more difficult. He was overwhelmed by the wrapping paper. More than one or two presents was too much. He didn’t want be around too many people for any period of time. We held the birthday party more to show him what a birthday party was and try to teach him by having him experience it. In elementary school, I could invite his entire class. I’d find some venue that the kids would enjoy that wouldn’t be too much for my son. I know the kids were attending for the venue and not much more. But at least they came. After elementary school, I would have the parties with my son’s social skills groups and we would use the party to teach all of the kids about what you do at birthday parties. 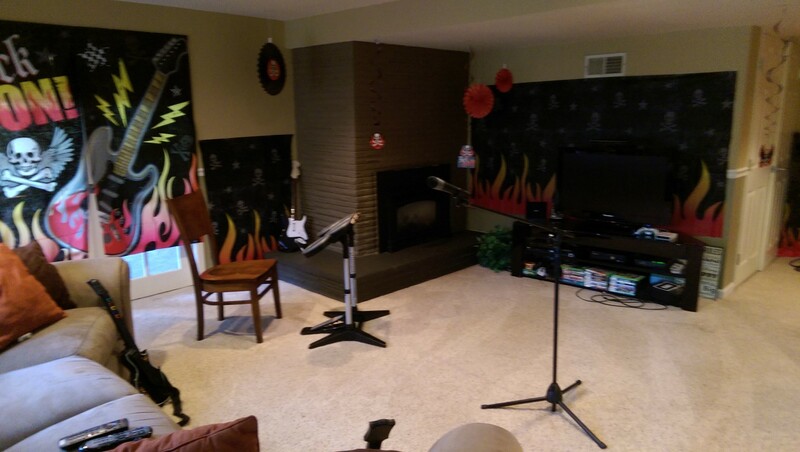 Last year, my son said he didn’t want a party. I was relieved, especially since he was now too old for his social skills group. But over the last year, his need for friends has grown. He started high school in a new school away from the people he knew in middle school so he is really starting over. Is it okay if I hang out with Max and Alex at moms house for my birthday? We can go to the park and play on the playground. We can watch movies. We can play video games. I will let my sister introduce my friends. It will be boys only downstairs. It’s the same that as the girls. I can start playing heavy metal music. It’s the same thing as when my sister played Taylor Swift. We can do that next weekend. Translation: He wanted a party with his friends like his sister had done the month prior. The 2 boys he invited had special needs of their own. He knew the boys from his special education classes in his middle school from the year before. I contacted his counselor from his school last year who forwarded my email to the moms. I was thrilled when they responded. I figured out details with the other moms. Our challenges: One of the boys was a flight risk so she would need to be there with him. The other boy would need some of the same structure that my son required when he was a bit younger. The poster felt overboard but it turned out to be extremely helpful. My program manager had suggested it after I shared my plans with her and she was right. The boys ended up having a great time. And it was wonderful to sit and talk with other moms who understand how hard this can be. As we sang happy birthday, one mom was taking pictures and the other was taking video. We all had a few tears welling up in our eyes to see our boys doing something that we just can’t take for granted. I told them that this is the first party that my son has every really wanted. And he really needed today. I’m so grateful that they took a chance and attended. Posted in Autism.Tagged autism, birthdays.